Many apartment dwellers are trying to cut costs to make up for rising rental prices. 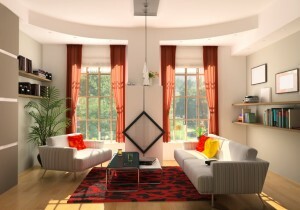 Lucky for you, one of the easiest places to save money is right inside your own home. Making your apartment more energy efficient isn’t just good for the environment, it goes a long way in reducing your monthly utilities, too. In fact, if you implement the right changes, you can see those bills drop anywhere from 20–30 percent per year. Here are a few easy ways you can make your apartment more energy efficient without making a drastic lifestyle change or calling your landlord to request major renovations. Instead of cranking up the heat whenever your bare floors get too cold during the winter, lay down a nice area rug instead. Rugs trap heat much more efficiently than hardwood flooring does, giving the heating system in the apartment a bit of a rest. Poorly insulated windows let cool air in during the winter and let cool air escape during the summer. 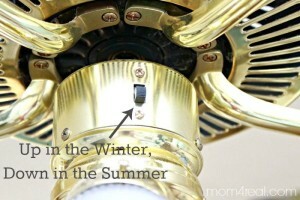 Taking care of this one simple issue is another way to rely less on your heating and cooling system all year round. 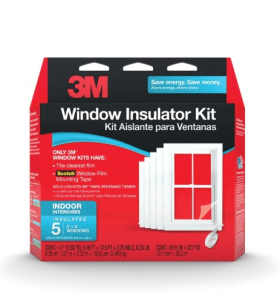 Try an inexpensive window insulator or add thermal curtains (check out our pick on Amazon). CFL and LED light bulbs aren’t just more energy efficient – they also shine brighter and last longer than traditional incandescent bulbs. 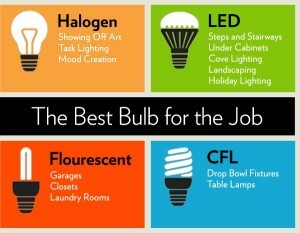 Not only do you get the benefit of saving money on utility bills, but you’ll also have to buy replacement bulbs less often. 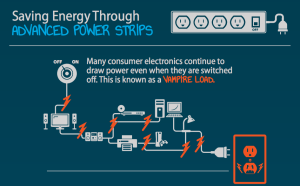 A smart power strip is will turn certain appliances on or off when they’re not in use, based on the order they’re plugged into the strip. If you plug your TV into the “master” plug on the strip, it will automatically cut off power to your Blu-Ray player and game console when the TV is not in use. Installing a smart thermostat is a great way to automatically adjust your apartment’s temperature based on how you’re actually using it. You can turn off the heater during the day while you’re at work and have it automatically turn back on at certain times, giving you a nice and toasty apartment to return to. If you’ve found a draft in one of your doors or windows, congratulations – you’ve just spotted one of the primary ways that money is leaving your bank account without you realizing it. By sealing your doors and windows, you can make sure that the cool air during the summer or warm air during the winter actually stays in your apartment where it belongs. 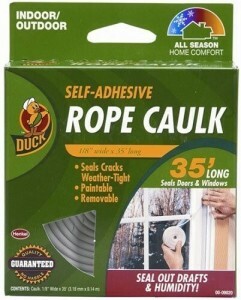 Seal your windows with the handy solution below and take care of drafty doorways with this door draft sealer from Amazon. Maintaining the right temperature in your apartment is all about proper air circulation. Your fan should be pushing air down during those warm summer months of the year and drawing it up during the winter to help regulate the temperature and create a more comfortable environment at the same time. 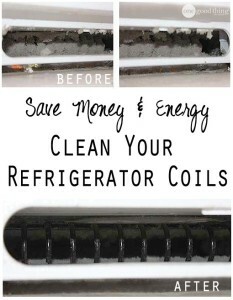 Vacuuming and dusting your refrigerator coils and fan regularly helps to improve the energy efficiency of this ever-important appliance. Not only will it help make sure it doesn’t break down (ruining all your groceries in the process), but the refrigerator will also use less electricity and save you money at the exact same time. Making your apartment more energy efficient doesn’t have to be a costly or lengthy process at all. Spending a few minutes after work or on the weekends to make these changes can yield a substantial difference in the cost of your utilities over the course of the year. Have you tried any of these tips in your apartment? Do you have any other suggestions that have helped save you money? Let our readers know what you’re doing to make your apartment more energy efficient in the comments below!